Dight to stop Judge's decision from becomning an Obstructor's Charter A straightforward case becomes complicated and threatens to rewrite basic rights of way law. The Byways and Bridleways Trust needs the support of riders, walkers and cyclists everywhere to take this case to appeal. In 2008 Northumberland County Council, made an order to record a public bridleway in Capheaton, and this order was confirmed in January 2009. The route is approaching two-and-a-half miles long, with a recorded width of three metres, and was recorded on the first definitive map as a public footpath. It is a valuable 'additional' link for riders and cyclists, but getting it on to the definitive map as a bridleway is only restoring the status quo, as one local historian has asserted that it is a former principal road, and part-way along there is a sharp defile called 'Salters' Nick'. 'Salters' place names on roads generally refer to the carriage of salt, and 'Salters' Road' (and variants) is a quite common road name right across England. This bridleway was in reasonably good surface condition in 2009, but had hard-to-open gates, and two cattle grids right across the width of the bridleway. 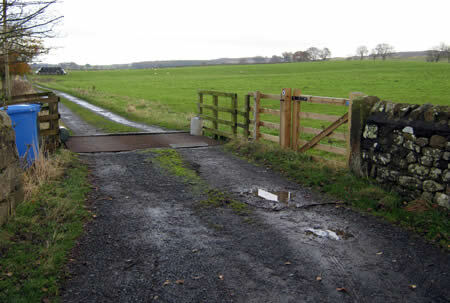 After making no headway with Northumberland County Council, Alan Kind, the editor of Byway and Bridleway, served a notice under s.130A of the Highways Act seeking the removal, or legal bypassing, on one of the cattle grids. District Judge Stephen Earl (the judge who this week threatened to jail former Newcastle footballer Paul Gascoigne) held that the cattle grid was an unauthorised but declined to exercise his discretion to make an order because the public could still get past, even though they are forced right off the highway. Alan Kind appealed this decision to the Crown Court, but to no avail. In the view of the Byways and Bridleways Trust this decision by a Crown Court judge will act as a precedent for lay magistrates everywhere, and landowners will be able to obstruct public footpaths and bridleways with impunity, as long as path users can get by somehow. The decision is, says Alan Kind, 'an obstructors' charter'. The case is now being appealed to the High Court, and the Byways and Bridleways Trust has the welcome and vital support of the British Horse Society and the Open Spaces Society. But these cases cost a lot to win and even more to lose. The Trust needs the support of path users everywhere, because an adverse decision in the High Court could affect everyone, particularly in these cash-strapped times. More about the case, and details of how to donate or pledge support, are in a special edition of Byway and Bridleway (issue 2010/9) and also available on www.bbtrust.org.uk.